PBS is talking with at least three entities interested in saving public television programming service in the far southern Rio Grande Valley of Texas after KMBH-TV in Harlingen is sold to a commercial buyer. Pubcaster KEDT in Corpus Christi wants to expand its carriage to cover the Harlingen market. The commercial broadcaster purchasing KMBH also hopes to continue carrying a PBS signal. And a local grassroots group is working with state educational institutions to form a community trust to make its own bid for the station. 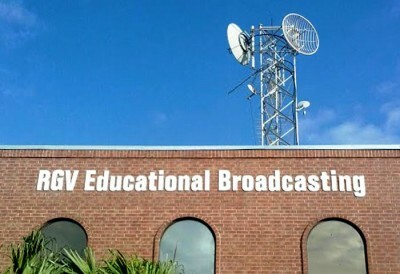 The Diocese of Brownsville, which operated KMBH through its nonprofit RGV Educational Broadcasting, has an agreement pending to sell the station to MBTV Texas Valley, a subsidiary of San Antonio–based R Communications. The $8.5 million deal was filed with the FCC March 20 for its approval. KMBH does not operate on a channel reserved for noncommercial use — a rarity among public TV stations — so it was eligible for license conversion, which the FCC approved Feb. 21. Because PBS provides the only public television service to the area, some viewers in the Harlingen market are protesting the commercial takeover. Since the sale was announced in January, more than 650 people have signed an online petition from the Rio Grande Valley Equal Voice Network protesting the deal. Two Texas congressmen are also speaking out on the issue. Carlos Rodriguez, c.e.o. of R Communications, told Current that the new owner would like to carry PBS content on KMBH even after the sale is finalized. Although the market of 364,000 television households has only 300 contributing PBS members, according to Rodriguez, the broadcaster is “committed to not only keeping PBS shows on air in the Valley but also increasing viewership, membership and participation for PBS,” he said. R Communications owns a string of radio stations along the Texas–Mexico border; KMBH will be its first television station. Dual licensee KEDT has also expressed interest in carrying PBS content to the Harlingen area, which is about 135 miles south of KEDT headquarters. General Manager Don Dunlap told Current that the KEDT board approved those plans in March. KEDT is talking with three commercial stations in the Valley about carrying its PBS content on a multicast channel. And the Equal Voice Network, a consortium of 10 local grassroots groups, is hoping to preserve PBS content in the market by establishing a community trust to bid for the station, in addition to petitioning the FCC to stop the sale. The Equal Voice Network just began talks with the Region One Education Service Center, part of the statewide Texas Education Agency, about partnering on the bid, Siefert said. 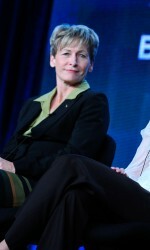 McNamara confirmed that if PBS agreed to provide programming to KMBH after the sale closes, it would be the first instance of a commercial broadcaster dedicating a multicast channel to a PBS signal. R Communications began running the station under a local management agreement (LMA) March 1, and PBS has already agreed to allow its programs to air while the sale is pending. Regulatory law would not preclude a commercial KMBH from running PBS content, said John Crigler, a public broadcasting attorney with Garvey Schubert Barer in Washington, D.C. The Spanish-language public TV multicaster V-me also may remain on KMBH. Rodriquez said that R Communications plans to keep V-me. And while V-me does not air commercials on public television stations, the network is developing commercial ventures as part of the larger V-me Media, according to Victor Cerda, s.v.p. of corporate strategy for V-Me. Cerda said the channel “has a good following” in Harlingen and is in contact with PBS and R Communications to remain in the largely Hispanic market. That market also has one of the highest percentages of solely over-the-air viewership in the country, noted U.S. Congressman Filemon Vila and Texas Rep. Ruben Hinojosa in a letter to the diocese and R Communications. “We hope you will keep in mind the needs of our constituents as you move forward with this process,” the March 17 letter said. PBS had lots to crow about during the recent Television Critics Association Press Tour, combined with just enough controversy to keep reporters intrigued.